Welcome to the new site. I'm still working on it, but get cozy and explore. 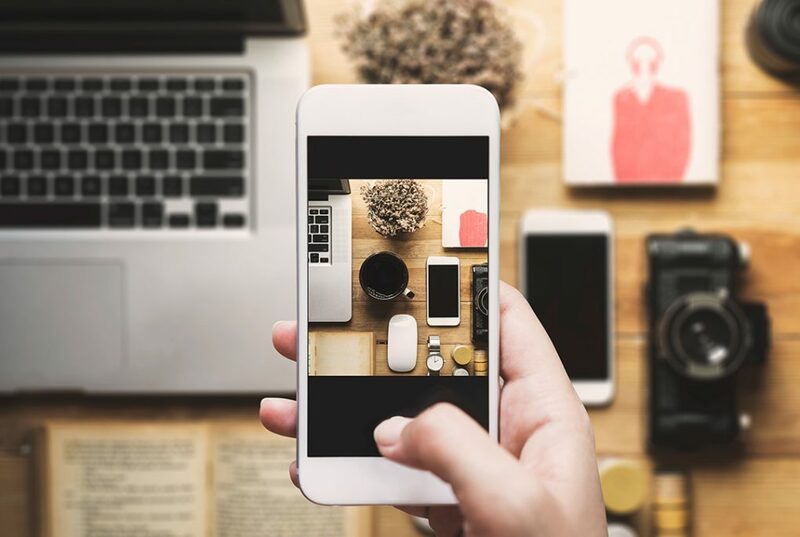 Chances are, you are no stranger to Instagram.¹ When you’ve been diving head first down your IG rabbit hole you’ve no doubt stumbled upon a few flat lays in your feed. Flat what? Right…see my featured image up there? That’s an example of a flat lay. Placing objects on a (mostly) flat surface and shooting a photo from directly above. It’s far more impactful than most other random angles. I’ve been known to race through my feed at times and I will almost always stop on a beautifully styled flat lay over any other images…and I’m not the only one. How do you achieve the perfect flat lay? I’m glad you asked. Show Off Those Styling Skills. Choose a flat surface that isn’t too distracting. Something simple. Wood grain is my personal favorite, but white is fantastic especially if the true colors of your objects/product are important to convey. Is there a background that matches your brand or service? Pavement, concrete, grass, topsoil/earth? Mostly, stay away from anything that your pieces will get lost on. Your background should either add something significant to your story or hardly be noticed at all. It probably goes without saying, but please make sure your chosen surface is clean. Of all the things your audience can learn about you through your photos, you probably don’t want one of those things to be that you haven’t dusted in recent months. It’s kind of like when someone sends you the obligatory bathroom selfie and all you can focus on is how disgusting their mirror is. An absolute exception would be sprinkled ingredients that lend themselves to the story you are trying to tell (i.e., potting soil, flour, spices, pencil shavings). Be thoughtful in how you lay things out. Is your brand and your message best conveyed in perfectly aligned pieces and perpendicular lines or things strewn about more haphazardly? Regardless of which layout is more your jam, still pay attention to harmony, balance, scale…all those words that make geeks like me a touch swoony (and don’t worry, I’ll explain more on that in a sec). Pick a couple items that are the main focus (anchors) of your image, but then show a little additional depth and personality with accessories. Why? It creates more interest and opportunity for engagement. If you take a photo of your latest project, but strategically place extras in the shot that give the viewer more insight into you or your photo, they are more likely to reach out in your comments. We are all voyeurs wanting a peek into your world. Give your viewers little nuggets to explore in your photos. It can be supplies you used in the main piece or completely random (and, hello, don’t overlook this opportunity for product placement hashtags). Let your style shine through. Be a storyteller. Harmony, Balance, and Scale…Oh My! Even when your collected goods aren’t all matchy matchy in subject, they can be in other ways. One big way to bring harmony back to your shot is color. Pick 2-3 unifying colors or even different shades of the same color for a monochromatic vibe. Pastels? Earth tones? 50 shades of grey? Go crazy. Mmmm…balance. Avoid placing the most similar items together. Don’t put all the red on the left, big items on the top, square bits on the right.² When you do, it makes things seem more heavily weighted in one direction and makes your viewer’s attention likely go exactly where you don’t want it. Spread things out more evenly. Create interest by varying the sizes of your featured objects. The bigger the difference in scale, the more attention grabbing and appealing. And while we’re at it, let’s add contrast to the mix. Play with variety in those accessories. Try mixing the old with the new and place a vintage typewriter and an iPad in the same shot to spark those nostalgia feels. Play with different textures. Hard, soft, rough, smooth, glass, stone. Add in a plant to shake up all those inanimate objects. I mean in relation to your photos, obviously. If you can’t quite get all you want into the shot, use a small step stool and get a little height in there. This definitely beats raising your camera or phone above your head and hoping that you’ve gotten the shot you wanted. Now, go wow those followers with some epic flat lay. ¹ Because living under rocks is so 2016. ² Unless off-balance is exactly what you like in a viewer. In that case, do all those things. ³ Which also means stop. using. flash. © 2018 Kelly Anderson Studio. All rights reserved. We use all the basics like cookies, Analytics, and AdSense on this site. We assure you that there is no nefarious intent. But, for the record, are you cool with that? I'm cool with that.Nope. Not cool.Tell Me More!